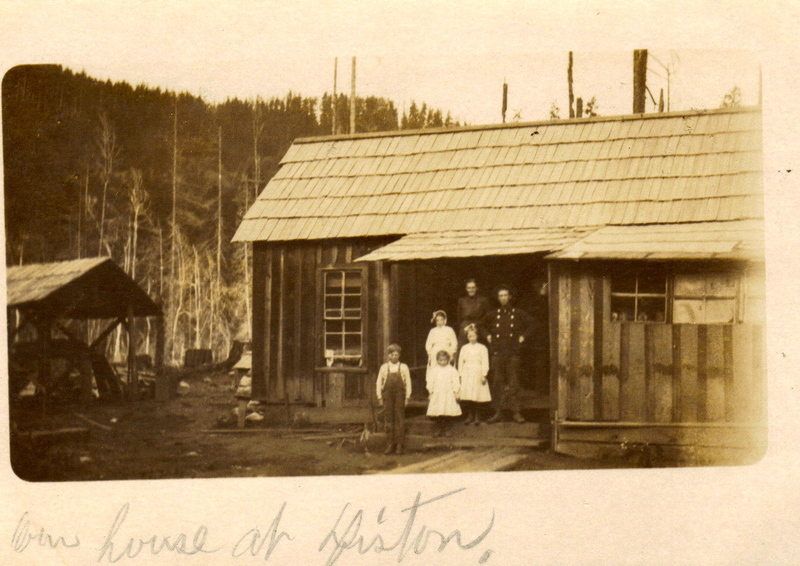 Glen Jones of Portland sent some old photos of Disston.The Barber Family in front of their cabin circa 1909. 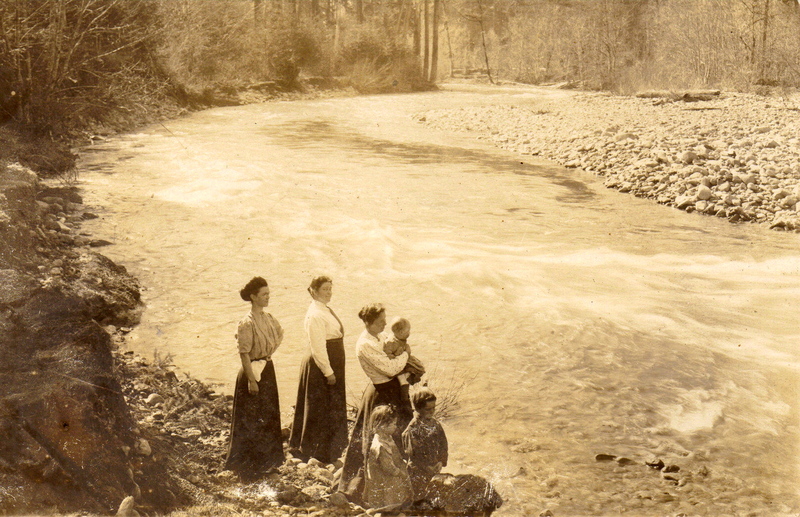 Group at Brice Creek. The Disston School teacher is among them. Disston was established in 1906. It was named after the Disston saw at the sawmill there. I lived in Disston in the late 1940’s until 1954. Went to grade school there & rode the bus to Cottage Grove High School until I finished then went off to college. Great place to grow up! My great grandfather was J.I. Jones who founded Disston. My great, great grandfather was Crampton Harris Jones, the first postmaster there. 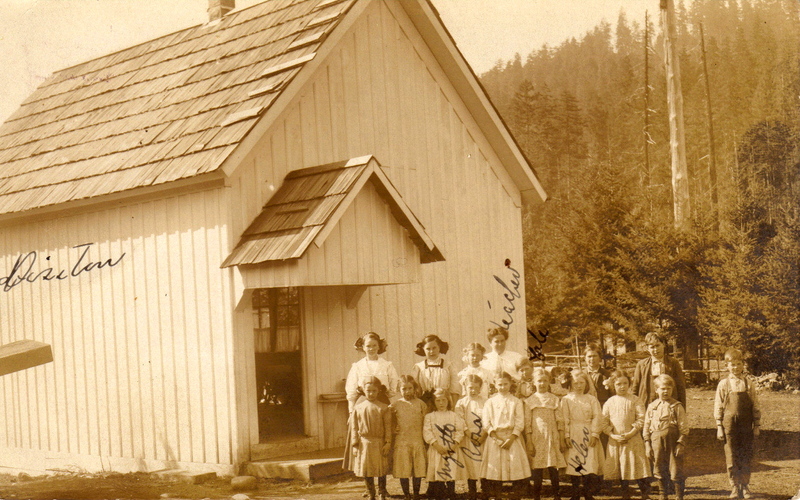 We now own the Old Disston Schoolhouse tried to add some picks wouldnt load??.? If you send pictures to dorenahistoricalsociety@gmail.com I will post them! I grew up in disston watched what is left of the school arched gymnasium being built in what maybe 1947, 1948 and was in the first class in the 8th grade to graduate there. As i remember 8 of us myself, helen wiscarson,who i married,sonea olson, charlet spellman,jerry northcutt,dean tibbits?? One of the hass boys and ?? Will find some picks.. Thanks, look forward to seeing your pictures!